BLACK SABBATH this week landed at position No. 1 on Billboard.com 's "Hot Tours" list of top-grossing tours with $10.4 million in ticket sales from three performances as part of the band's "The End" tour. 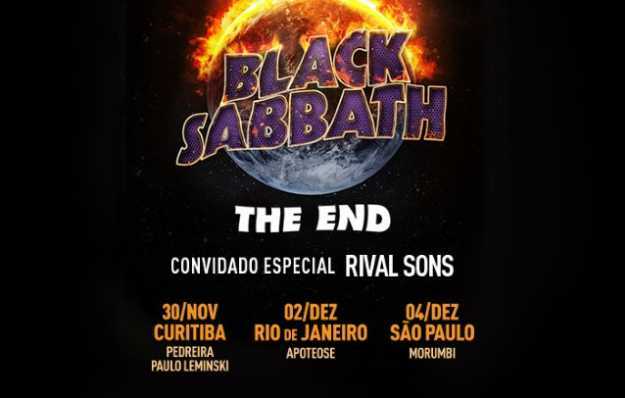 64,744 tickets were sold to the band's December 4 show in São Paulo, Brazil, with another 26,764 fans attending the group's December 2 show in Rio De Janeiro, Brazil. The November 16 concert at Mexico City's Foro Sol stadium drew 60,506 people, around a thousand less than saw SABBATH play at the same venue in 2013. SABBATH will bring its storied career to a close in its native England, with seven shows booked there in January and February. The last two, on February 2 and February 4, will take place in SABBATH's hometown of Birmingham and will likely be their final shows. 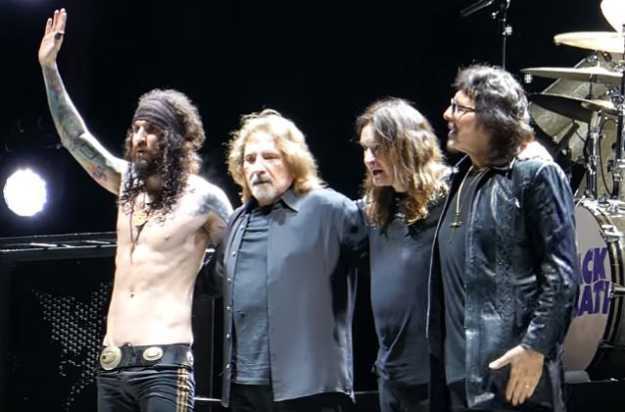 "It will be bittersweet," SABBATH bassist Geezer Butler said about the band's final shows. "It has been a great achievement lasting so long and still being relevant — it's something to be proud of, but my life will be very empty without the band. I hope our music will be around for a very long time after we've gone." BLACK SABBATH played its last show ever in the U.S. on November 12 at AT&T Center in San Antonio, Texas. The gig took place nearly five years to the day that the legendary act announced their reunion. The original lineup of SABBATH came together in 1969 with Ozzy Osbourne on vocals, Tony Iommi on guitar, Geezer Butler on bass and Bill Ward on drums. That lineup recorded and toured through 1978, and periodically reformed through the '90s and 2000s for live work. They regrouped again in late 2011 for a new album and tour, although Ward dropped out after just a few months. The remaining trio issued the "13" album in 2013 and backed it with a successful world tour — despite Iommi being treated for lymphoma since 2012.